New Transition adaptive lenses in 4 new colours. Saphire, Amethyst, Amber and Emerald. Choose your colour and own your style!!! Offer valid until 31st May. 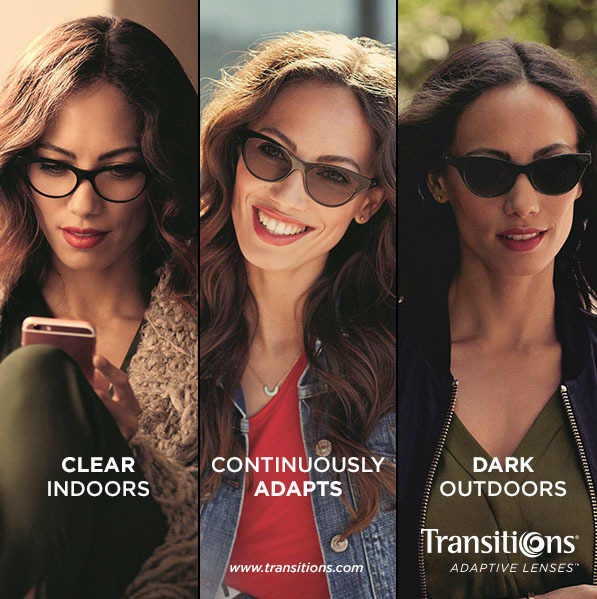 At least one pair must be Transition Adaptive lenses and both pairs must be from the Transitions range. The offer includes lenses and coatings.